Brunei Darussalam made headlines in April with the announcement of several sukuk (Islamic bond) offerings ahead of the launch of a standalone stock exchange in the Sultanate. Efforts to expand the scope of the financial sector are aimed at ensuring a greater diversity of public and private sector financing, specifically in support of businesses and large infrastructure projects. A roadmap of financial sector expansion is laid out in the Sultanate’s long-term national vision, Wawasan Brunei 2035. Launched in 2008, the programme targets an increase in financial services’ share of GDP from 5% last year to at least 8% by 2035. BLUE waters, blue skies; it was a view that I enjoyed, among other things, one recent sunny day during a trip to Pelong Rocks – also known as the legendary Pulau Pilong-Pilongan – to discover scuba diving. It’s always been something that I’ve always wanted to try but did not have the courage to do on the account of not being able to swim , but since I recently gained the skill, I decided to give it a try. 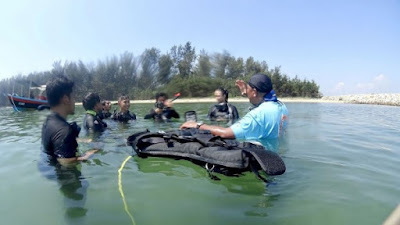 Pelong Rocks is located about five kilometres from the coast of Muara beach and aside from being one of the more popular beginner scuba diving and snorkelling locations; it’s also a location that is steeped in legend. So I set out with a group from the Meragang Sixth Form Centre’s Scuba and Swimming club, led by its head, Norkhairulaney Hj Damit, aboard the Lantaran, belonging to Dive Master Rosland Hj Suhaili and the Lantaran Recreational Dive Tours Brunei to experience what Brunei has to offer in terms of aquatic scenery. 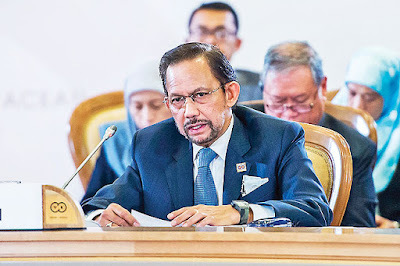 HIS Majesty Sultan Haji Hassanal Bolkiah Mu’izzaddin Waddaulah ibni Al-Marhum Sultan Haji Omar ‘Ali Saifuddien Sa’adul Khairi Waddien, Sultan and Yang Di-Pertuan of Brunei Darussalam, on Friday expressed his hope for an increased engagement between Asean-Russia’s security agencies to counter terrorism and other transnational crimes, especially to stop violent extremist elements from coming in and establishing themselves in the region. In a titah, which was delivered at the Plenary Session of the 20th Asean-Russia Commemorative Summit at Radisson Blu Resort and Congress Centre in Sochi, Russia, His Majesty also touched on the need for regional and international cooperation to be more strategic in addressing issues of terrorism and other transnational crimes and considering measures that could help countries become more resilient to economic uncertainty. SENIOR defence and military officials from Brunei Darussalam yesterday had firsthand view of the US Navy aircraft carrier, USS John C Stennis (CVN-74) which is currently passing through international waters close to the Sultanate on a routine operation. The delegation, led by Deputy Minister of Defence, First Admiral (Rtd) Dato Seri Pahlawan Abdul Aziz bin Haji Mohd Tamit, arrived from the Rimba Air Force Base via a US Navy C-2 transport aircraft, along with United States (US) Ambassador to Brunei Darussalam, Craig Allen. The visit on board the supercarrier was hosted by Rear Admiral Marcus A Hitchcock, the Commander of Carrier Strike Group 3. While at sea, the group saw a demonstration of an aircraft launching and recovery operations as well as air fire-power demonstration by the assets of the Carrier Strike Group. BRUNEI is truly the land of unexpected treasures, and rightly so. In the busy Beribi Industrial Area is the Sumbangsih Mulia Complex, a unique venue which aims to highlight the heritage of the sultanate via traditional handicrafts and local delights. The Sumbangsih Mulia Complex was officially opened in 2007 and houses close to a hundred vendors operating in the open food court area as well as a separate air-conditioned section that showcases hand-made intricate local handicraft for sale. 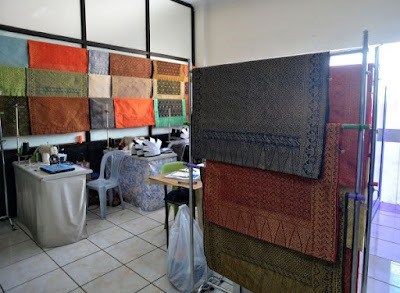 One of the main aim of the establishment of the complex is to help local business entrepreneurs to have a place to sell their products and handicrafts and over the years, there is no denying it has done exactly that. “We’ve been operating here since it was opened, and it does get busy during lunch time especially during the weekdays,” said Layla who works for Soto CT, one of the popular vendors in the food court. 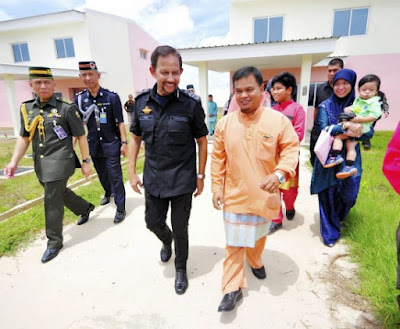 HIS Majesty Sultan Haji Hassanal Bolkiah Mu’izzaddin Waddaulah, the Sultan and Yang Di-Pertuan of Brunei Darussalam, presented 593 people with keys to their Bukit Beruang semi-detached and terrace homes in Tutong yesterday. Out of the total number of house owners, 160 received semi-detached houses while 433 will be living in terrace houses. The Ministry of Development in a statement said the $140 million Bukit Beruang National Housing Scheme is sprawled over 127 hectares of 1,500 housing units. The Department of Housing Development is currently reviewing the national housing scheme to ensure it can sustain meeting the increasing number of applications. Among the long-term strategies include optimal use of land to build more houses, as seen with the building of cluster and vertical homes. IT'S BEEN about three years since Pasarneka Kuala Belait was opened, selling fresh fish and meat, retail products, snacks and a place to dine under one roof. 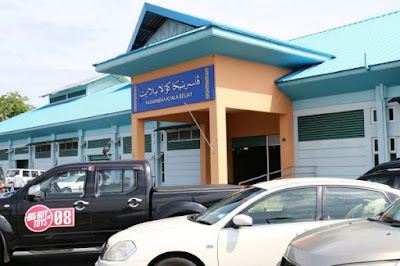 The elongated building, which can be easily spotted when driving to Kuala Belait town, might be fairly new, but the vendors are no amateurs. Most of them are seasoned hawkers for more than 20 years, relocated from the old Pasar Kuala Belait, which has now become a food hotspot on weekend afternoons. 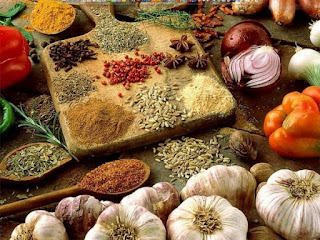 True to the nature of the word ‘pasarneka’, the place hosts a variety of stalls selling diverse products. The building is divided in three sections – fish and meat, light food and retail. The place to dine in is at the middle of the building. In addition, there's also a weekend market at the carpark vicinity.